Show parents the importance of taking babies to the dentist before their first birthday. Let them know that preventive care can save time, money, and teeth. 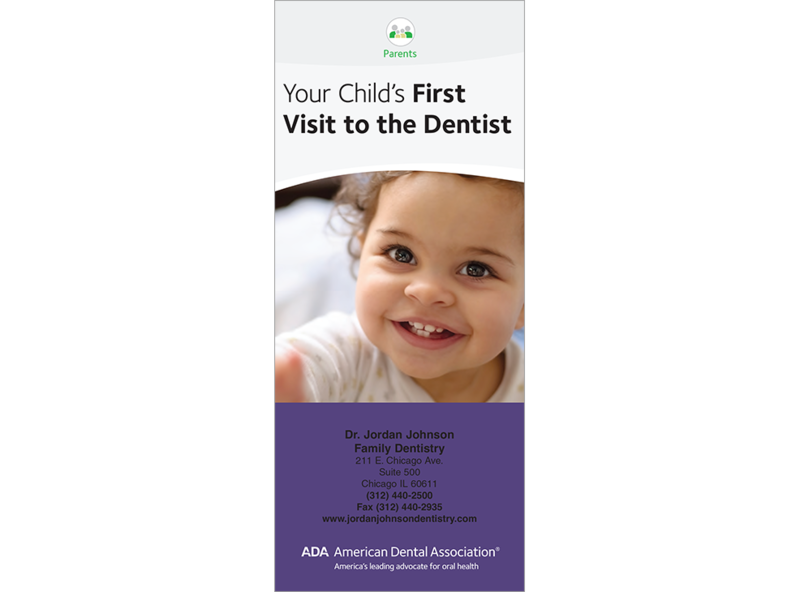 This brochure highlights the causes of tooth decay, fluoride treatments, and dental sealants, and provides tips for a positive dental visit. It features updated decay photos and a tooth eruption chart. 6 panels. Minimum order 150. Click Add to Cart then personalize for free. Now you can add personalized information on the front, back, or both covers on all brochures.